How should you discuss atorvastatin in an MUR? What do you need to know before advising patients on this commonly dispensed statin? Cholesterol is carried in the blood, attached to lipoproteins. There are two main forms: low-density lipoprotein (LDL) and high-density lipoprotein (HDL). LDL cholesterol is often referred to as "bad cholesterol” as it is involved with atherosclerosis, whereas HDL is often referred to as “good cholesterol” because it has protective effects – such as removing LDL cholesterol. Atherosclerosis leads to cardiovascular disease, resulting in conditions such as coronary heart disease and stroke. Statins are lipid-lowering agents, which help to lower the level of LDL cholesterol in the blood. 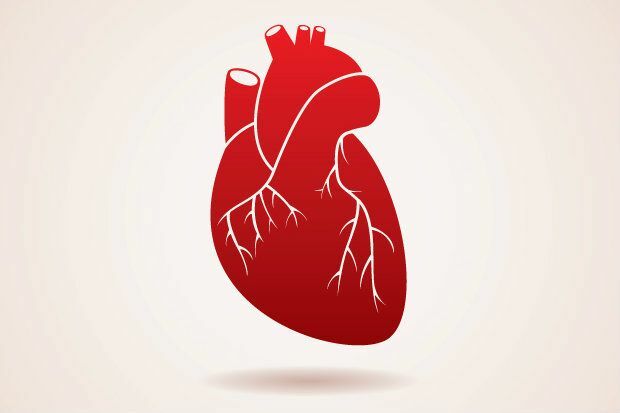 They are often recommended in patients at high risk of developing cardiovascular disease, especially those who have suffered a previous heart attack or stroke, to reduce the risk of further events. Commonly prescribed statins include atorvastatin, simvastatin and rosuvastatin. Patients at risk of, or who have been diagnosed with, cardiovascular disease and are regularly prescribed at least four medicines fall into one of the national medicines use review (MUR) target groups for England. This can include patients receiving medication for coronary artery disease, diabetes, hypertension, heart failure and lipid disorders. What is the mechanism of action of a statin? Statins are a selective, competitive inhibitor of the hepatic enzyme HMG-CoA reductase. This enzyme enables cells to produce cholesterol, so inhibiting it disrupts cholesterol synthesis, and subsequently reduces hepatic cholesterol levels. Decreased hepatic cholesterol levels stimulates upregulation of hepatic LDL cholesterol receptors, which increases hepatic uptake of LDL cholesterol, thus resulting in reduced serum LDL cholesterol concentrations – the goal of statin therapy. What could you discuss during a statin MUR? Initially, you should establish if the patient is taking the correct dose, and whether they are adhering to their prescribed treatment regimen. Those who have a night-time dose of statin (as is recommended with simvastatin) may forget to take it if the rest of their prescribed medicine is to be taken in the morning, for example. Simple open questions may uncover non-adherence: “How do you take your statin?”; “What side effects have you had from this medicine?”; “Who explained why you should regularly take your statin?”; “When was the last time you missed your statin?”. What are the typical doses of atorvastatin? For hypercholesterolaemia in patients who have not responded to diet and other appropriate measures, the usual initial dose is 10mg once daily. This dose can then be gradually increased at intervals of at least four weeks, up to a daily maximum – which is dependent on the patient’s cholesterol levels. For primary prevention of cardiovascular events in patients at high risk of their first cardiovascular event, the initial dose is 20mg once daily, increased as necessary. You should note that this dose is unlicensed. For secondary prevention of cardiovascular events, the dose is 80mg once daily. According to the National Institute for health and Care Excellence (Nice), lower doses are only recommended if there are potential drug interactions, risk of adverse effects or due to patient preference. In children, the usual dose of atorvastatin is between 10mg and 20mg, but higher doses can also be considered. You should consult the BNF for Children if a young patient has been newly prescribed a statin. Atorvastatin, unlike other statins, can be taken any time of the day, with or without food. It is common for patients to take it in the morning. However, some prescribers may still recommend that the medicine is taken at night, for example, if the patient previously took simvastatin at night and doesn’t wish to change their routine. As with any medication, there are a wide range of side effects that you should be aware of and you should counsel patients to watch out for during an MUR. While myalgia (muscle pain) has been commonly reported in patients receiving statins, the risk of myopathy, myositis and rhabdomyolysis associated with statin use are considered a rare side effect. rigorous physical activity or delayed onset muscle soreness. If statin therapy is thought to be the cause of myopathy and the patient is experiencing severe muscular symptoms, they should seek immediate medical attention and their therapy should be discontinued. Interstitial lung disease – a group of diseases affecting the tissue and space around the air sacs of the lungs – can also occur rarely with statin use. Patients should therefore be advised to seek immediate medical attention if they develop symptoms such as dyspnoea (severe shortness of breath), persistent cough or weight loss. It is also important to consider if the patient could be managed appropriately with a lower dose. Statins should be used in caution in patients with a history of liver disease and should be avoided in those with active liver disease. They should also be used with caution in elderly patients, those with hypothyroidism or with high alcohol intake. All statins should be avoided in pregnancy as congenital anomalies have been reported – the decreased synthesis of cholesterol may have effects on foetal development. Adequate contraception should be used during statin therapy and should be continued for one month after the last dose. You should advise patients that statins should be discontinued at least three months before attempting to conceive. In addition, advise that breastfeeding should be avoided during statin treatment. In patients with a high risk of diabetes, fasting blood glucose concentration or HbA1C should be checked before starting therapy and then again after three months. What other advice can you give patients? In the clinical podcast (below) C+D spoke to Professor Nilesh Samani from the British Heart Foundation to clarify the confusion around statin use. You will learn why statins make the headlines – for all the wrong reasons – and what advice pharmacists should give patients concerned about their statin medication. How should you discuss levothyroxine in a MUR? How would you discuss montelukast in an MUR? What should you discuss during a digoxin MUR? Hi Peter can I check if you are still taking atorvastatin? Is everything OK with it - no side effects? Can you just sign this form please? That's what the Area Manager says to do. Do you support the introduction of a 5-year pharmacist apprenticeship?